culture mami: what makes a good father? 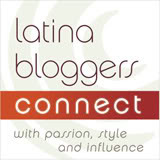 This post is compensated by Huggies and in collaboration with Latina Bloggers Connect. When Kip and I were dating my mom shared a saying with me,I don't know where she heard it from or if she even remembers telling me this but it stuck with me. A man who owns plants and pets will make a good husband and father. Marcela:If you were taking the kids out today what would you make sure you had in the diaper bag? Marcela:If you could give a new dad only one tip what would it be? Marcela:You seem pretty cool to me... do you think youv'e changed since you had children? Kip:How haven't I changed? My entire priority system has been reordered. My kids are everything! I'm just a pretty cool dad! Marcela: It's the weekend...where will you be taking the kids to? Marcela:What is your greatest responsibility as a parent? Kip:The safety of my kids. Marcela:Being a parent is a lot of hard work, what's the biggest payoff? Kip:Seeing my kids truly happy. Marcela: You love hanging out with the kids...why? Kip:I'm sharing new experiences. Nothing beats the look on their faces when you blow their minds with something really cool. Marcela: No one is perfect, what is your biggest struggle as a parent? Dont't forget to join Poncho de Anda on FB for a special chat (another cool dad) in Spanish on Sept 20th from 12pm EST to 1pm EST to hear how he as a dad tackles the challenges of parenting. You will be able to connect with and ask Poncho de Anda your parenting questions. Look for the picture of Poncho on the FB page and click to participate in the chat. Great advice from your Mom. Kip sounds like a pretty cool Dad and husband.